Phil Barry (formerly of of techno-rockers Cubanate) unleashes his long-awaited second album under the Be My Enemy moniker. Following one from the release of the 'Party Monster' earlier this year, Barry returns with more frantic and high octane punk-infused dance rock to set dance floors on fire and get heads banging. Be My Enemy's début 'This Is The New Wave' was a promising collection of songs that were perhaps only held back by a little unconscious uncertainty. However, 'The Enemy Within' sees Barry return full of rage and conviction with a tighter and even heavier sound than before. The Pitchshifter-esque snarling vocals, demonic rave electronics and searing guitars are turned up to eleven and erupt from the speakers at breakneck speed. Songs like 'Kill Your Television', 'To Protect And Serve', 'We Become Gods', 'Party Monster' and 'Insomniac' are as heavy as they are catchy, and even in their most savage sounding moments are still wonderfully infectious. Each song has the anthemic, communal quality that you'd usually find on an Atari Teenage Riot/Alec Empire album, while at the same time having that tie to the British punk and underground rave scenes of the past. He even manages to get downright experimental on the all to brief instrumental 'The Memory Hole' which breaks up the track list nicely. There is a hell of a lot going on in the mix and sometimes the electronics, guitars and vocals simply become a wall of noise. Yet it still somehow works. Overall the execution is clean and fresh, but the hard and dissonant writing style can still simply bludgeon you. This is a very strong second outing for Barry which builds nicely on the strengths of the first album and shows continued growth as a song-writer, performer and producer. 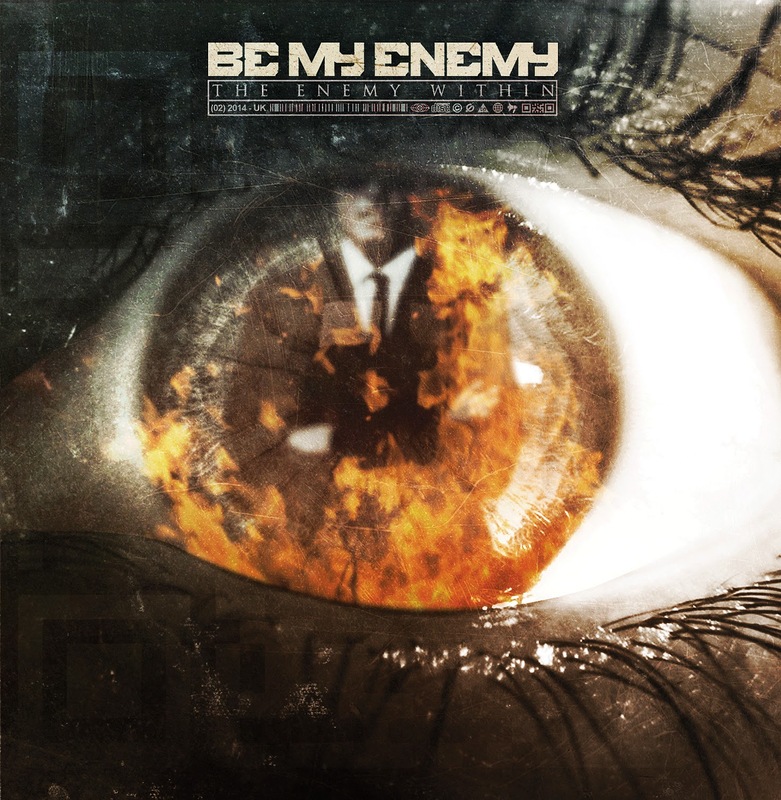 'The Enemy Within' features some excellent and memorable tracks that will undoubtedly ensure Be My Enemy's place as a top name in the UK industrial scene.